One of my orb enthusiasts asked me to go on a quest for orbs tonight. Margo didn’t think she was having much luck on her own and wasn’t sure that any lived in her neighborhood. Here she is looking for that orb who is looking at her. When I don’t seem to be having any luck finding orbs among the trees, I can usually find them in one of their favorite hangouts: the power lines. Margo now realizes there are plenty of orbs in her neighborhood. 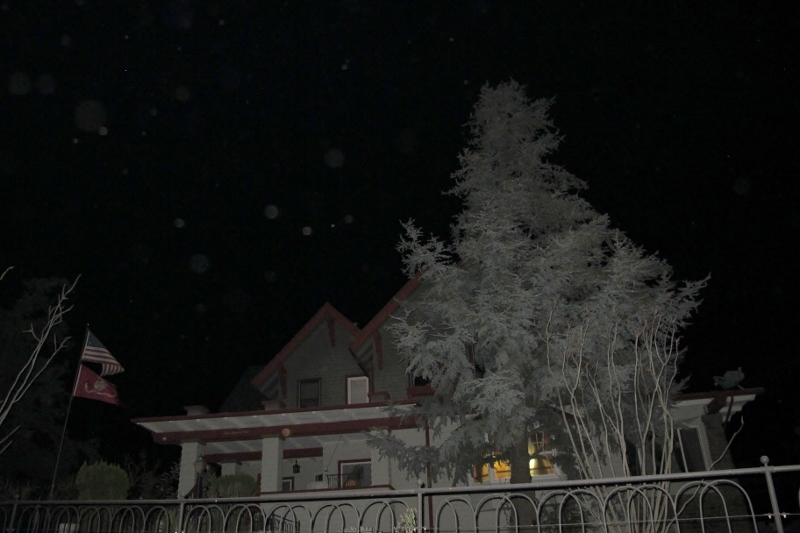 The Loma Linda is considered Bisbee’s one true mansion. Ocotillas look like sticks until they leaf out in summer rains. 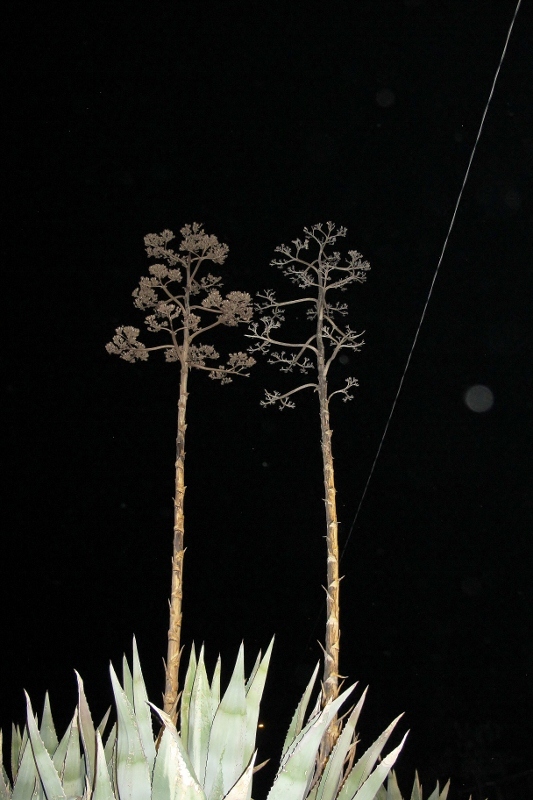 These century plant stalks have the regalness of pine trees. 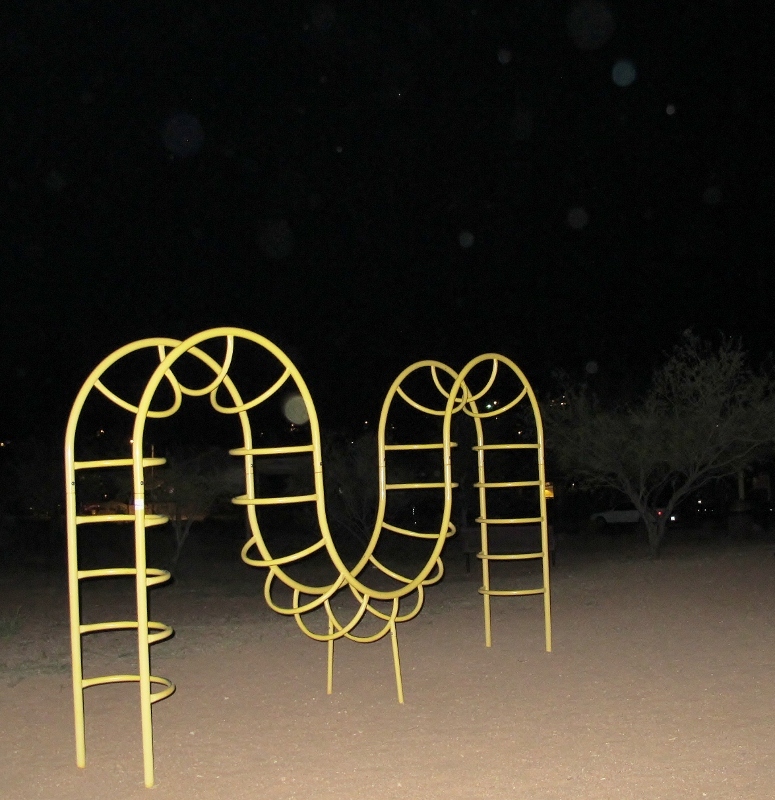 Of course orbs would be attracted to the joys of the children’s playground. 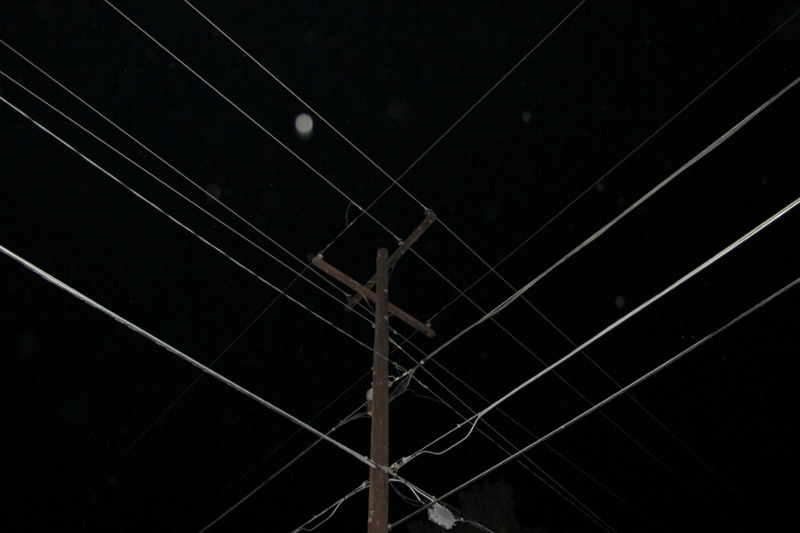 Remember, orbs can be found among the power lines. 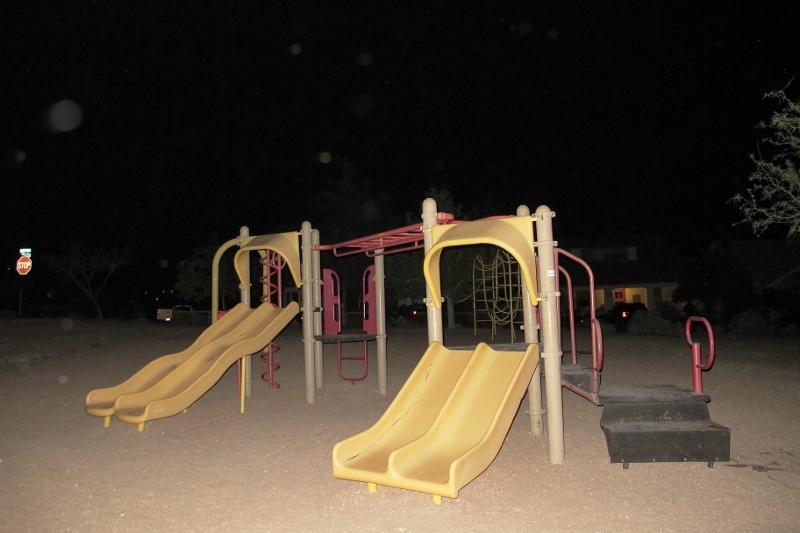 Posted on April 22, 2013 by orbphotog	This entry was posted in Orb Photography, Photography and tagged Bisbee Arizona, Orb photography, orbs, Photography. Bookmark the permalink. Great photos! I was inspired by your nighttime orbs from previous posts, and I’ve started taking photos of the trees in my backyard and of the sky from my deck at night. I’ll post them soon. Thank you for your inspiration! Glad to be inspirational! Keep in mind that when you bring home your orb photos to your computer’s photo software experiment with these 4 steps: slide the exposure to the right, contrast to the left, shadow to the right, and then adjust the noise level. 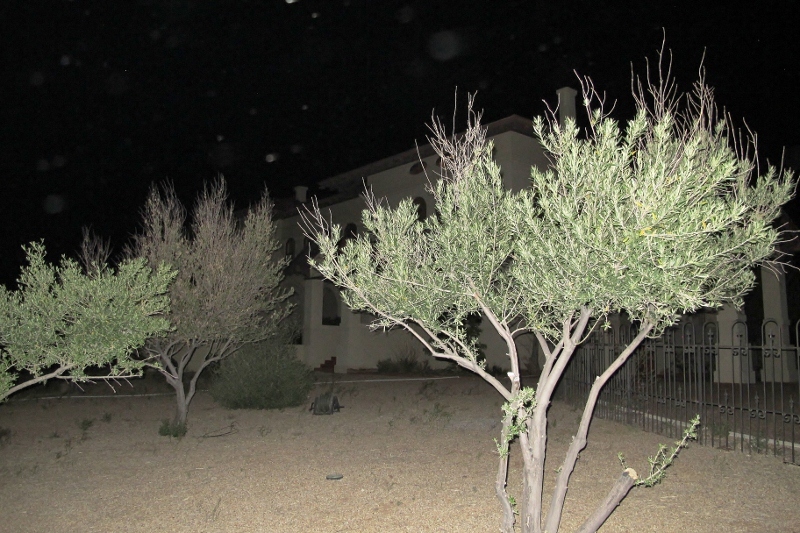 You will be amazed by the orbs which will be revealed even in photos that don’t seem to have any. Thank you for the orb optimizing tips! I will try them out before posting my nighttime orbs. I’m happy to be of assistance, Susan. 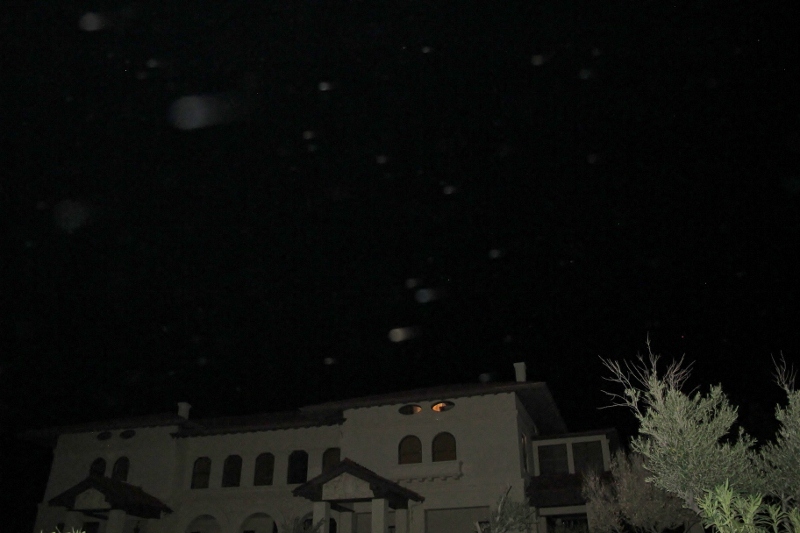 The up side is that you’ll see more orbs, the downside is that the images will be more grainy, that’s where the noise reduction will help a little. Sure looks like a successful and interesting outing. I never thought of power lines. Think I’ll try the pole out by the highway tonight if it isn’t raining. 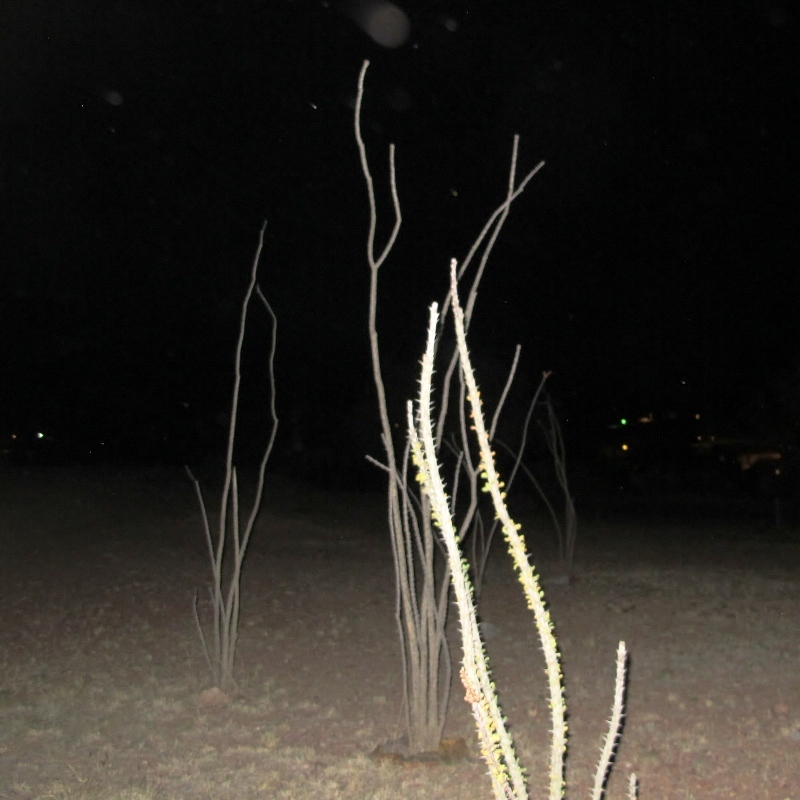 Yes, Margo was quite excited to find orbs in her neighborhood. Even found some in a photo of me, which I might post. 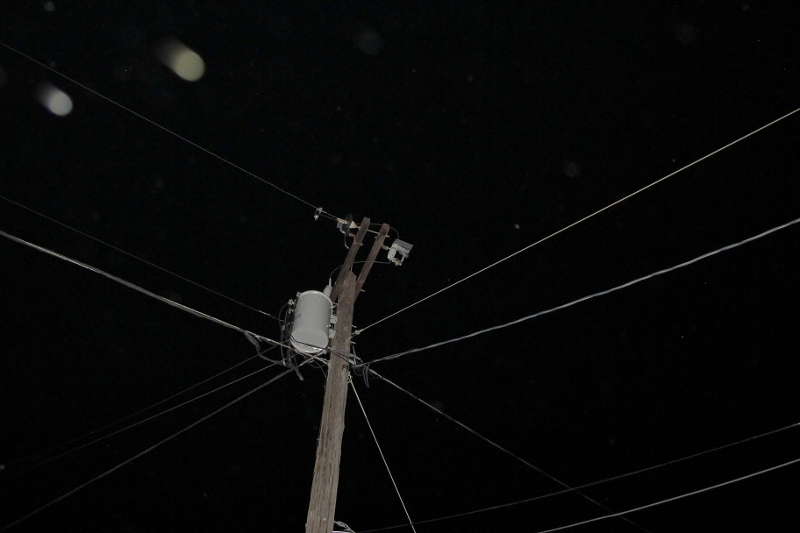 Power lines are great for orbs. I could have done a whole post with just those photos. Thank you, Sue. I hope to post her photos of our quest soon.